I know it is not even close to being strawberry season, but these cupcakes are drool-worthy. I actually read about the benefits of flash frozen fruits in an article recently and was relieved that many nutrients are retained in frozen fruits. 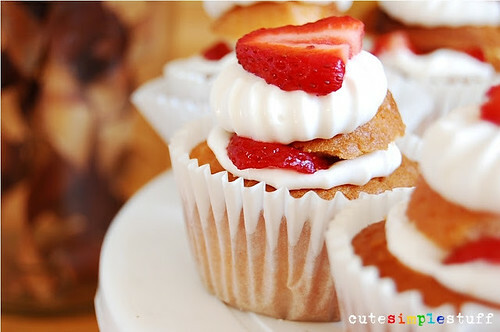 Anyway, these strawberry cream cheese cupcakes made by Renee of Cute Simple Stuff look delicious. Here's her video tutorial on You Tube.